Museum Island is worth a visit for the architecture alone, with Berlin's biggest and best exhibits shared between colossal structures that include the city's old cathedral. Here are some of the highlights among the various collections! 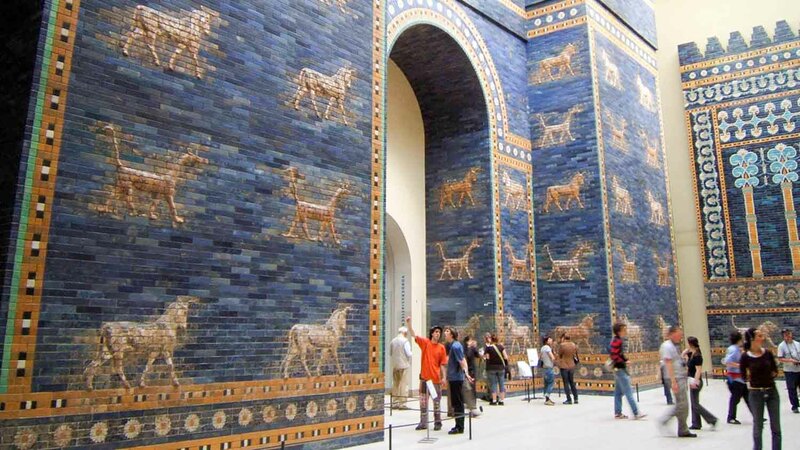 The Pergamon Museum boasts ancient monumental treasures such as the Ishtar Gate and Market Gate of Miletus. Unfortunately, the Pergamon itself is closed for renovations until 2019! 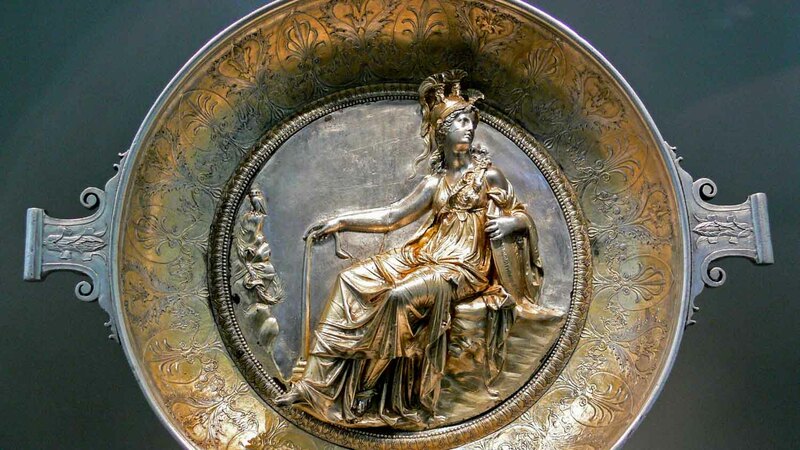 One of the largest collections of Ancient Roman silver was discovered by Prussian soldiers in Hildesheim, Germany. Dating back to 1AD, see it in all its glory at the Altes Museum. 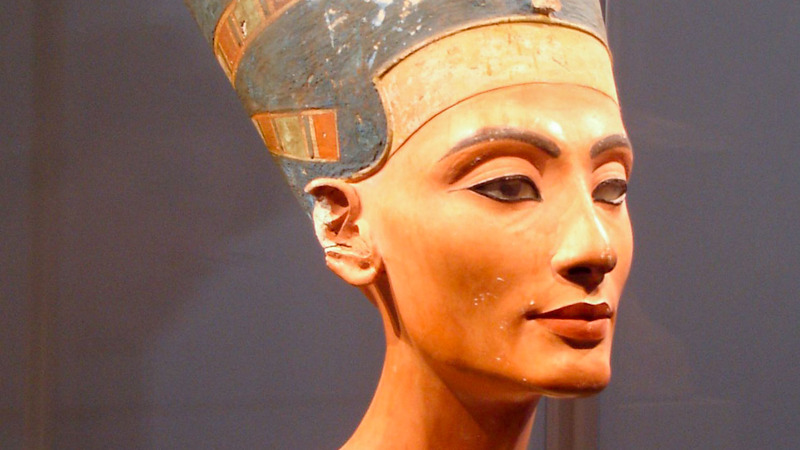 On display at the Neues Museum is one of Ancient Egypt's most recognizable artifacts. It provides remarkable insight into the civilization's royal and artistic cultures. 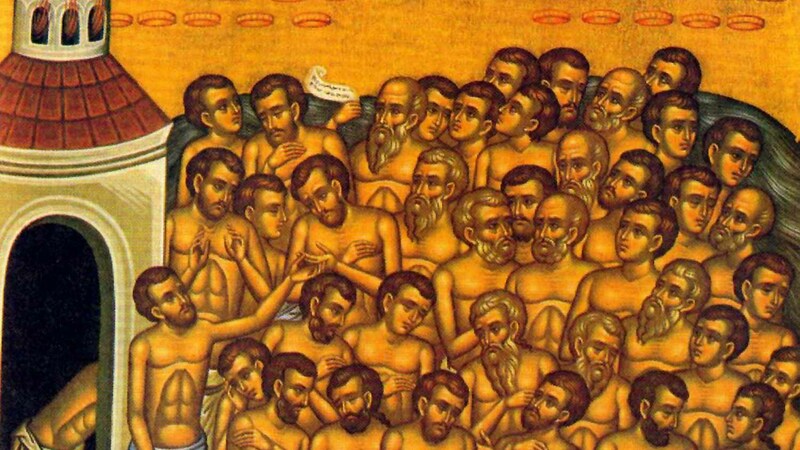 Among the Bode Museum's impressive collection of Byzantine art is this haunting 10th-century ivory relief of 40 soldiers frozen to death under the persecution of Licinus I. 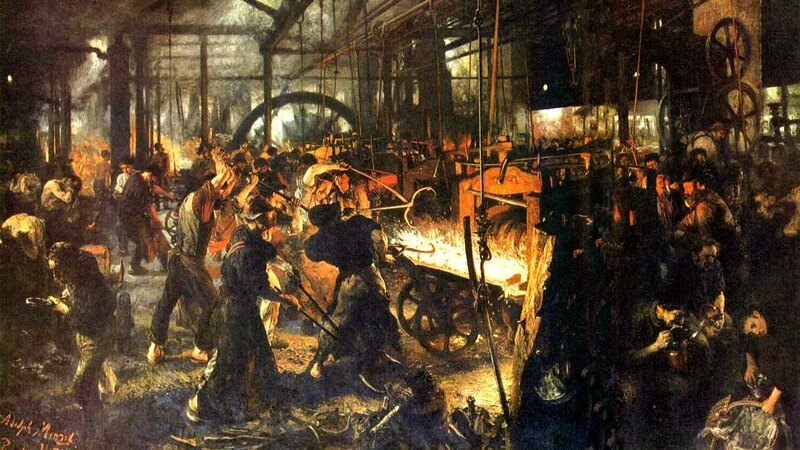 Not a real "Eisenwalzwerk" of course, but one of Adolf Menzel's most brutally atmospheric paintings. It's exhibited alongside many German masterpieces at the Alte Nationalgalerie. All the museums are open from 9:00AM to 6:00PM, and until 8:00PM on Thursdays. They are closed on Mondays except for the Pergamon Museum and Neues Museum which are open all week. If you can't decide between exhibitions, consider starting with a walking tour of the area to learn more about the buildings themselves, or get free tickets for 3 days with the Berlin Museum Pass! Museum Island is just a short walk from both Friedrichstrasse (S + U Bahns) and Hackescher Markt (S Bahn) stations. There are also buses to nearby Friedrichstrasse (147), Staatsoper (TXL), and Lustgarten (100, 200), as well as trams to Hackescher Markt (M4, M5, M6) and Am Kupfergraben (M1, 12). 9:00AM to 6:00PM, Thursdays until 8:00PM. Closed Mondays except Pergamon and Neues Museum. Prices vary by museum, or get the Berlin Museum Pass! Easily reachable from the Friedrichstrasse and Hackescher Markt stations, as well as several bus and tram stops. Ricky made 4hrs around Berlin on a cold day, informative & enjoyable! A really good introduction to Berlin. Kathryn has an ability to sensitively relate the complex history of the city in a fun and clear way. Can’t recommend highly enough. Great way for a first discovery of the city centre. Our guide, Rob Willis, gave us an introduction to Berlin’s history while taking us on a walk around the city centre of Berlin. We got a lot of info and suggestions to plan the rest of our visit. Great way to start your trip and great guide. Engaging, interesting and really absorbing. Our guide was Ysanne, and she was brilliant. So knowledgeable but delivered in such an engaging style. The 4 hours flew by and this was definitely the highlight of our visit. Despite being quite a large group (around 30) there was no problem keeping together, or being able to hear our guide. We really enjoyed our tour. Ken was very knowledgeable and was able to answer all our questions. He was informative and even his jokes were funny ! We saw all the major sites and increased our knowledge about Berlin and its history many times over. Ken also recommended some other things to do whilst in Berlin which were excellent too. I would recommend this tour at the beginning of your visit to get a broad knowledge about the history of Berlin which you then can use to further explore areas in detail.